They are obtained by keying truncated cone sleeves of grey Polypropylene (food grade) on the base rollers series 117 with 50 mm diameter sendzimir zinc-plated tube, “Z” execution. 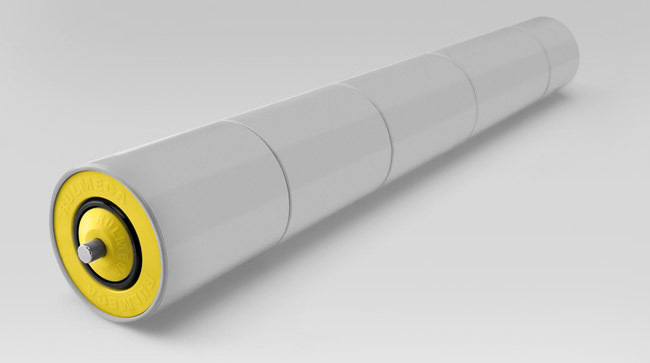 The spring loaded shaft allows an easy and quick installation. They are particularly smooth running and noiseless, ideal for curves with little slope, for light and medium packages in normal, foodstuffs and humid environments. The application temperatures range from 0° C to +50° C. They are foreseen with “B” lengths multiple of 50 and in the only lengths listed in the following tables.